by reason of fitting my XEL with sophia dvi, I tested some monitors for compatibility. You can ad your own experiences here, maybe it´s a decision support for users looking for a compatible monitor. Edited by Sleepy, Wed Feb 6, 2019 2:36 AM. With PAL the compatibility issue can be more of a thing. Though I've even tried digital TV tuners set to NTSC using HDMI to DVI adaptors and 2 of my monitors wanted nothing to do with them. I would suggest that sort of thing is probably a good easy way for people to test before committing - just make sure the modern day device isn't set to a resolution or mode that the monitor can't handle. 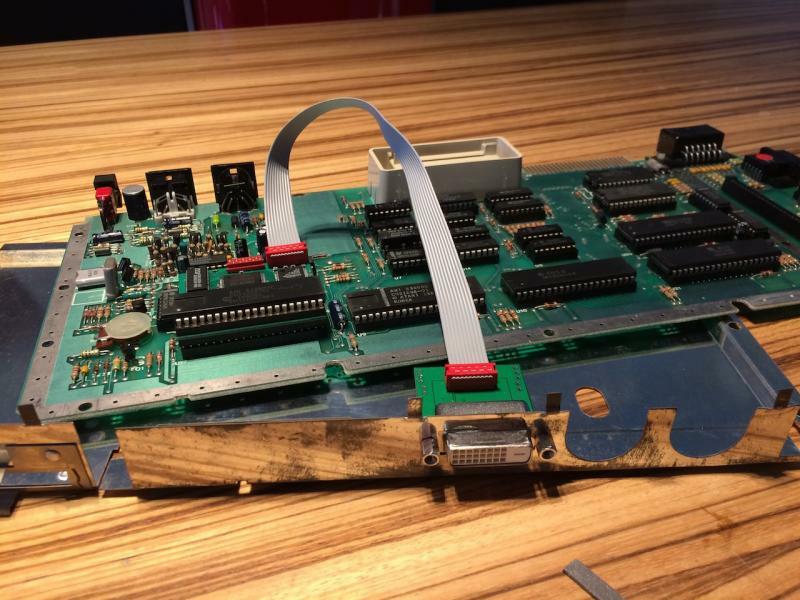 If a TV tuner works chances are the Atari should be OK too. If a TV tuner works chances are the Atari should be OK too. This makes no sense. The Sophia board is outputting a digital DVI signal. A set top device like Bluray or digital tuner will output HDMI. 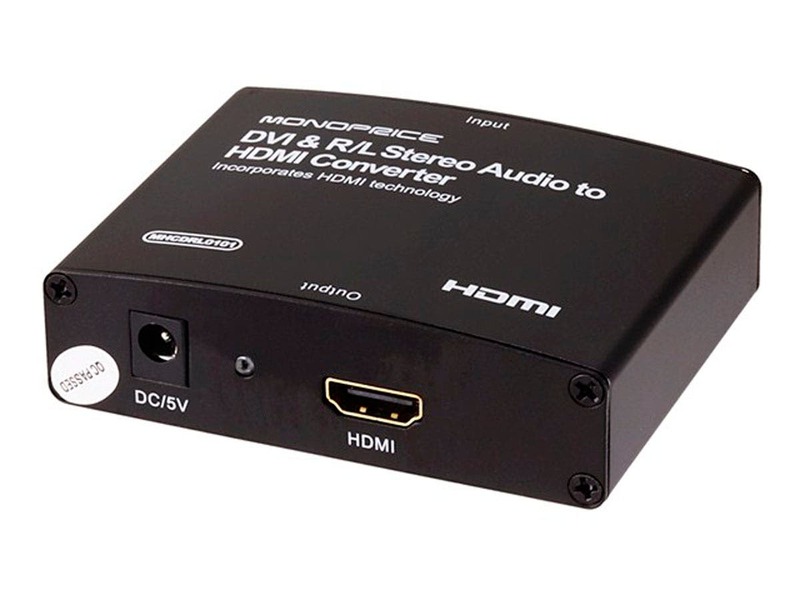 HDMI and DVI are practically identical except DVI doesn't usually carry audio. You can get converter plugs and they're passive devices. I still have no clue what this has to do with the Sophia board... you know what the Sophia board is or not? Edited by jowi, Wed Feb 6, 2019 8:07 AM. He is saying, you can get a dvi to hdmi connector and plug to hdmi devices you may have to get creative to get audio included. I still don't get why a tv tuner is mentioned. That is, it works fine, but it will not 'fix' the DVI signal, so if your monitor/tv doesn't accept Sophia's DVI output directly, neither will it accept the HDMI signal coming from this. Edited by jowi, Wed Feb 6, 2019 12:09 PM. I have a samsung that takes hdmi picture only on one of it's ports and has a separate audio in... I use that input for a laptop that has dvi only, I use a dvi to hdmi cable and run a separate mini jack from the laptop to the tv. you can also look to some home stereos that convert between formats and allow mixing. if the goals is to go on and on about what doesn't work and get some new device made or try to get a redesign, how about you come right out and say that and ask permission to build on what he did, or start a new thread for your own device or asking someone to make the device you envision or desire..
Edited by _The Doctor__, Wed Feb 6, 2019 12:14 PM. I think the puzzlement over the tuner statement stems form the fact that a tuner working over an HDMI port has no apparent bearing on whether Sophia's DVI signal is compatible with the same monitor, unless Simius has flooded the market with DTB tuners. @Jowi: I think the DVI to HDMI adapter was suggested primarily as a means of handling audio, not as a potential method of improving video signal compatibility. Usually DVI/HDMI conversion and vice versa can be accomplished with a passive cable. Listing what doesn't work isn't without value. If one owns a monitor which would have been on the 'not working' list but the not working list doesn't exist, one could waste a lot of time and money. Some fastidiousness would be required and that is no longer me. Edited by _The Doctor__, Wed Feb 6, 2019 1:11 PM. This thread I think? Anyway: those who come after may have to brave the rarely used forum search facility, but if the information is there, I'm sure it'll be useful to someone. tbh the forum search is a little weak, it requires using the fiddly interface to change the search dates etc etc etc... and of course the proper choice of terms etc etc etc. This is where we lose a number of folks, and the goog avenue even using site search is terrible these days, your are more likely to end up with a list of modern day Atari published software or other such prattle than what you were looking for. That is unless you are already a long time Atari search artist in which case goog might bend all your results to this sort of stuff. I've noticed a good deal of folks are already frustrated before they work up the nerve to start posting, or asking... the search fu becomes more difficult as the user loses grasp of reality as they travel down the rabbit hole. Speaking of which, where are the carrots? I commonly resort to Google when searching the forum and I must have amazing 'search fu' since it works really well for me. I don't think Google is flattering me with tailored results, but simply obeying 'site:atariage.com' in the search criteria. That narrows it down a bit. As for newcomers being frustrated: unless an initial query is prefixed with 'I tried searching the forum, but...', it's usually safe to assume they didn't bother, and if they did at least make some token attempt to establish whether relevant information already exists and simply failed to find it, no-one's going to have a problem with that. All you lurkers come out of the shadows! Make a post, it's okay! Edited by David Hefner, Wed Feb 6, 2019 8:13 PM. Also works well with the NEC AccuSync AS193i. Please let us know also the color system - PAL or NTSC. It is important. Edited by Simius, Thu Feb 7, 2019 4:37 AM. Having these lists of what monitors work with Sophia is great, but not all that useful in the form of multiple posts in a forum that requires searching through many pages. Forums are great for discussing ideas, but not good for finding specific information on a product. I've suggested in the past that products require a website where information, and supporting downloads can always be easily located. Weebly or WIX provide the means to easily create a FREE website that can provide this much needed product support. For an example of what can be done in this regard using Weebly, check out my website AtariBits in my signature. These FREE website builders appear to also include an ecommerce aspect, thus seemingly making it easier to purchase products as well. I haven't personally tried this myself, since my creations are in the public domain and meant to be DIY. In the meantime it is still valuable for people to create topics like this one and add any monitors that they have tested to be Sophia friendly and with what resolutions. Also good to know PAL/NTSC compatibility. Another possibility if the website idea is not of any interest, would be to ask Albert to enable the first page of this topic to be always editable, so that a compatible monitor list can be kept up to date, as well as provide for downloads (or links to where they can be found) of the different resolution cores that are available. This would also be a good place to provide specs on what programmer to use, instructions on it's usage, and perhaps links to purchase the required apparatus for re-flashing the core. O.K., I copied all details together. Please copy the list and add your model; so you don´t have to read the whole thread, but just look at the last entry. Dell U3011 1280x960 & 1280x1024 ?/? HP LP2465 1280x960 & 1280x1024 ?/? NEC Multisync LCD1970NX 1280x1024 ?/? NEC Multisync EA190M (Rev 1A) 1280x1024 ?/? Edited by Sleepy, Thu Feb 7, 2019 9:17 AM. Does -/- mean it doesnt work? The BENQ BL3200PT, NEC 1970NX & EA190M were all tried with my NTSC 800XL, not sure how I'd test it in PAL. A "?" means not tested. So "-/-" means it neither works in NTSC nor in PAL. If there are two "?" means that the person who did the entry, didn´t told what color system was used. Probable NTSC, but I´m not shure. Edited by Sleepy, Thu Feb 7, 2019 11:42 PM. 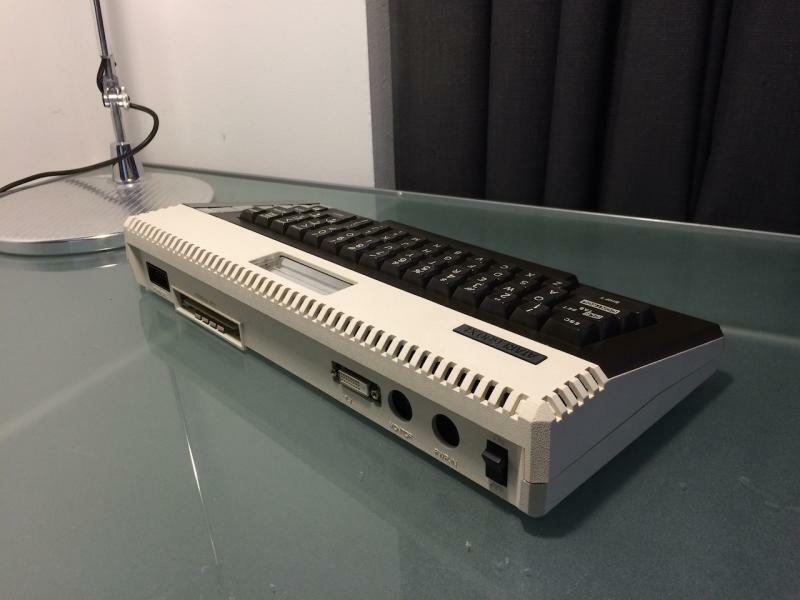 What is the "most compatible" 2600? Want to replace a CRT with an LED monitor. Does this work?